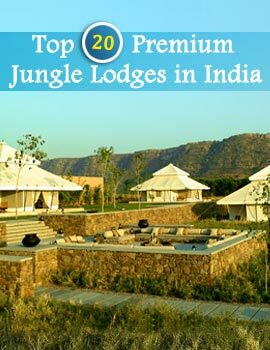 The Tadoba Tiger Reserve renowned for its natural heritage, is gifted with rich biodiversity. Sprawling over an area of 625.40 sq km, this distinctive eco-system is positioned in the Chandrapur district of Maharashtra. Tadoba Tiger Reserve in Maharashtra is one of the Project Tiger Reserves in India. The prime purpose of forming the Tadoba Tiger Reserve was protection and conservation of tigers. The sanctuary, set up in the year 1995, is the second Tiger Reserve in Maharashtra. The land vegetation of Tadoba Tiger Reserve is Southern Tropical Dry Deciduous Forest. The sanctuary is home to several species of flora such as Teak, Ain, Bija, Dhauda, Haldu, Salai, Semal, Tendu and bamboo. 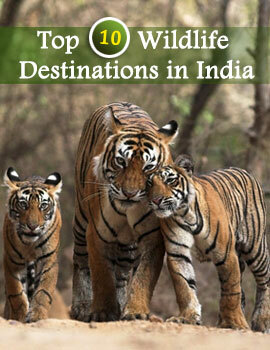 There are a plethora of animals at Tadoba Tiger Reserve in Maharashtra. Apart from tiger, the various species of fauna spotted in the sanctuary are Leopard, Sloth Bear, Gaur, Rusty Spotted Cat, Ratel, Indian mouse deer, Spotted deer, Sambar, Wild Boar, Four-horned antelope, Wild dog, Flying Squirrel, etc. During your visit to the Tadoba Tiger Reserve you can enjoy a comfortable stay at the Rest houses, Guest house, Holiday home and a Youth hostel near the sanctuary. The best time to visit the sanctuary is between the months of November and February. You can reach the Tadoba Tiger Reserve conveniently by air, rail, and road. The nearest airport is 205 km away at Nagpur, while the closest railhead is Chandrapur (45 km). You can also avail of State transport buses from Chandrapur to reach the sanctuary.